The Crown biodiesel process uses a multistep transesterification reaction followed by neutralizing and washing steps. The multistep transesterification reaction converts nearly 100% of the triglycerides in the oil or fat to biodiesel (methyl ester). The methyl ester is then stripped to remove the water and methanol. The final step is to chill and filter the methyl ester in order to remove impurities that form at low temperatures. This filtered methyl ester now meets the definition of biodiesel and can be used as a fuel, heating oil or other applications. 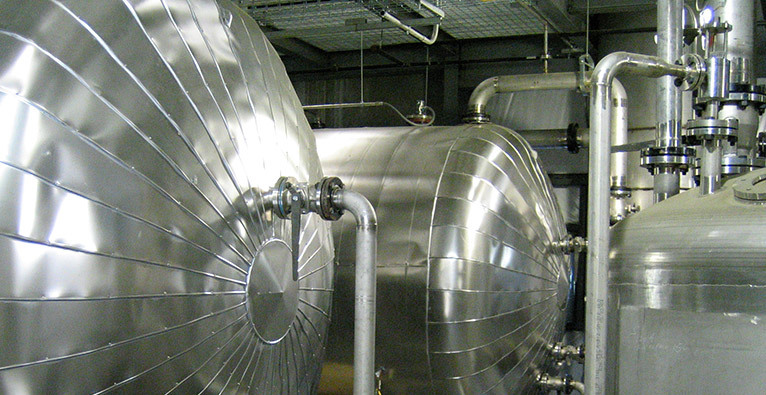 The glycerin byproduct separated from the methyl ester is further processed by removing methanol and some of the water so that it that can easily be refined in a glycerin refining plant. The excess methanol from both the methyl ester and glycerin fractions is recovered and reused for environmental and economic reasons.